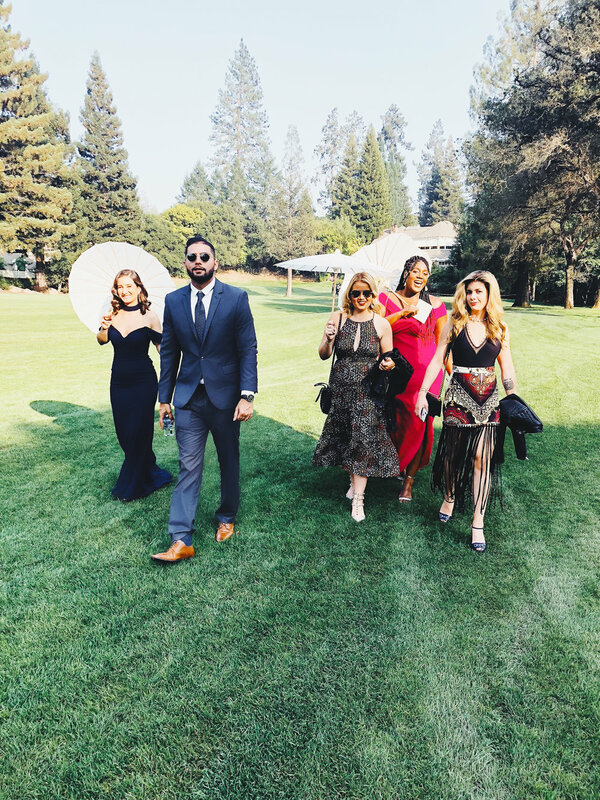 Trips to Napa are always special to me, but this one was extra special because I was there to attend the wedding of a friend from college. I was excited to celebrate her marriage and couldn't wait to catch up with old friends! Since the wedding was scheduled for Saturday afternoon, my friends and I had an entire day to kill before heading to the venue. We decided to kick the day off with treats and coffee from Bouchon Bakery before heading over to Bottega for a reunion lunch. With a couple of hours left to kill, we decided to do a wine tasting! I love Domaine Chandon because it's one of the less intimidating well known wineries in Napa. After choosing our wine flights, we went straight to the lawn for some fun in the sun. It was such a lovely atmosphere lounging in the picturesque landscape and catching up with friends over wine. I can't wait to go back! 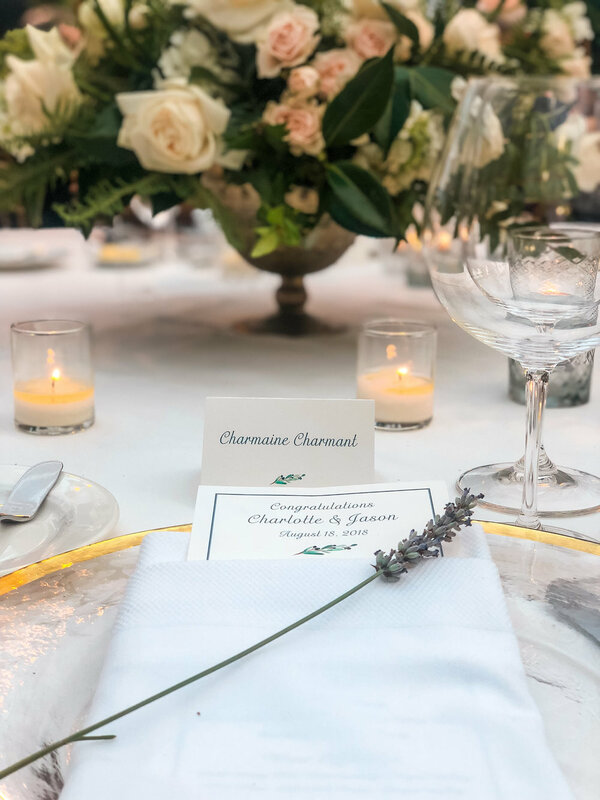 The wedding was held at Meadowood Napa, a luxury resort that literally took my breath away. To say that it was beautiful would be an understatement. It wasn't even my wedding, but I felt like I could be swept off of my feet at a moments notice! Everything from the service, decor, and reception was perfect. I could go on, but I'll let the photos do the talking. Charlotte and Jason sent us off in style with an amazing farewell brunch. It was the perfect end to the most beautiful weekend. We shared laughs over mimosas, ate another amazing meal, and frolicked in the vineyard until it was time to head back home. My heart was so full by the end of our weekend in Napa. While the views were stunning, the best part was getting to spend quality time with friends. Napa was simply the icing on the cake! If you’ve never been to Napa, I hope this post has inspired you to add it to your travel list! If you’ve already been to Napa, I hope this post has provided you with some new destinations to visit the next time you’re there. As you can see, the possibilities are endless. For more travel posts click here. Until next time babes!